Happy Meatless Monday, everyone! 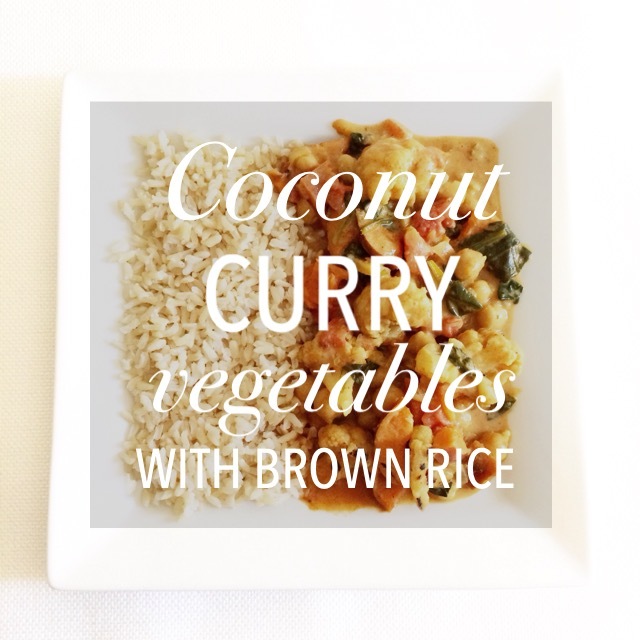 I found another winning dish on Pinterest: Coconut Curry Vegetables with Brown Rice. I’ve never made anything with curry and coconut milk, but I’m so glad I did. The coconut milk gives a creaminess and subtle flavor to complement the spices in the vindaloo curry. It’s hot and spicy, complex and creamy all in one bite. Toss in the vegetables and you’re good to go. I found this article on Time last week about why Indian food is so delicious. (Ok, so this isn’t Indian per se, but it still embodies that complex flavor profile that we know and love.) I knew it was a sign — I just had to make this.